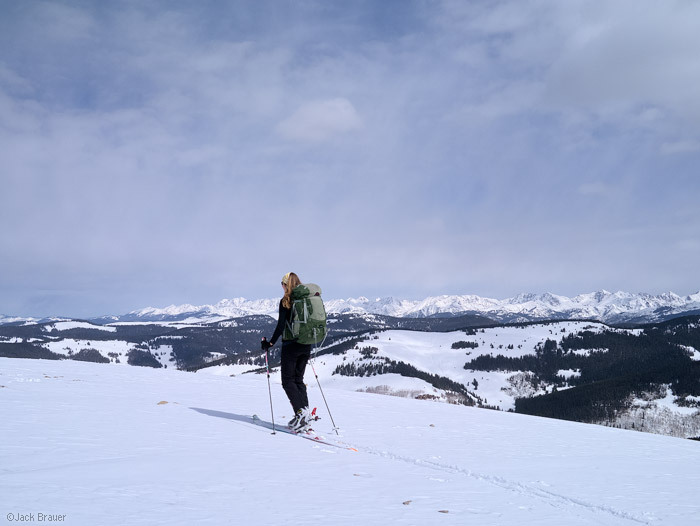 Last week we spent four days and three nights on a 10th Mountain Division ski hut tour in the southern Gore Range of Colorado! 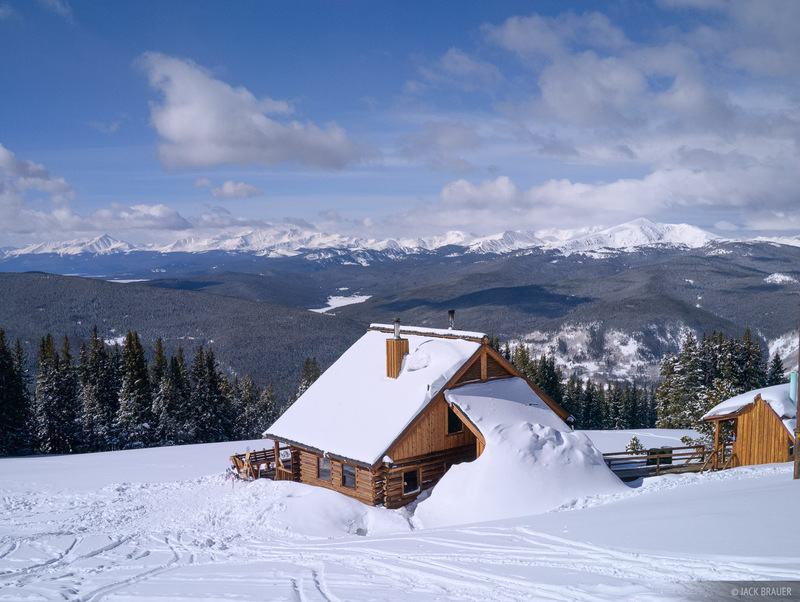 The first leg of our trip took us to the Jackal Hut, which is perched on a high ridge with expansive views towards Leadville and the highest peaks of Colorado in the Sawatch Range. 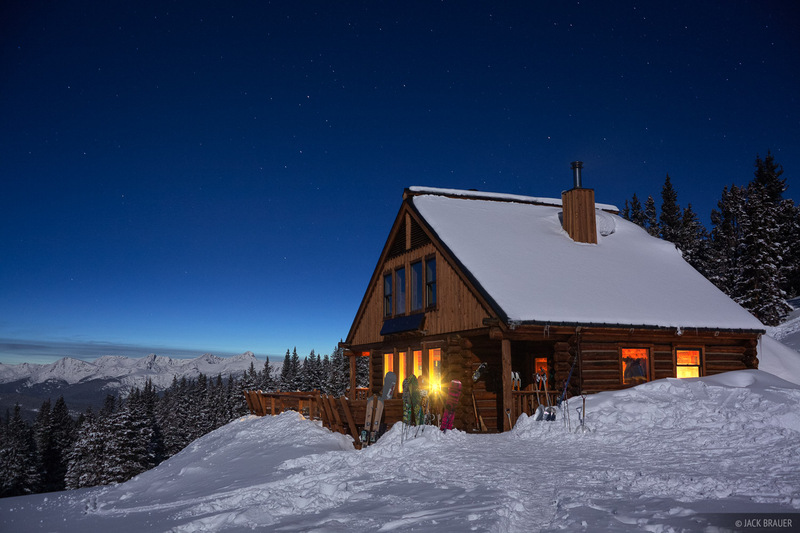 Winter at the Jackal Hut, in the southern Gore Range, with a view towards Mt. Elbert and the Sawatch Range. Our trip coincided with the full moon, and it would have been a perfect night for some moonlight skiing but we were too whooped from breaking trail up through Pearl Creek to the hut to motivate. Lesson learned: stay at least two nights at each hut so you can spend a day skiing… that’s the whole point after all! 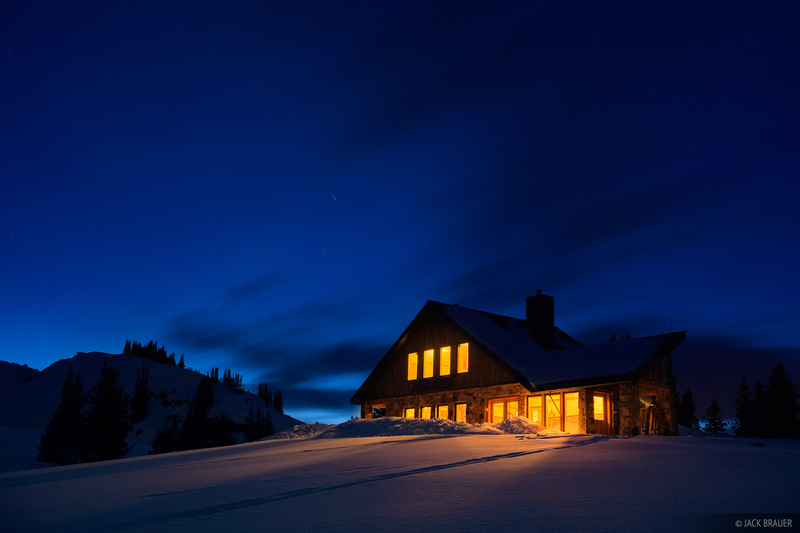 Snow covered Jackal Hut in the moonlight with a view towards Mount of the Holy Cross - March. After one night at the Jackal Hut, we made the grueling 7-mile trek to the Fowler/Hilliard Hut – again breaking trail all the way up from Resolution Creek to the ridge of Resolution Mountain. Normally putting in a skin track isn’t so bad, but it’s a different story with a heavy pack! Skinning from the Fowler/Hilliard Hut beneath Resolution Mountain - March. Fortunately we had two nights to relax and regain energy at the Fowler/Hilliard Hut, which provided ample opportunity to have some fun skiing around the hut. 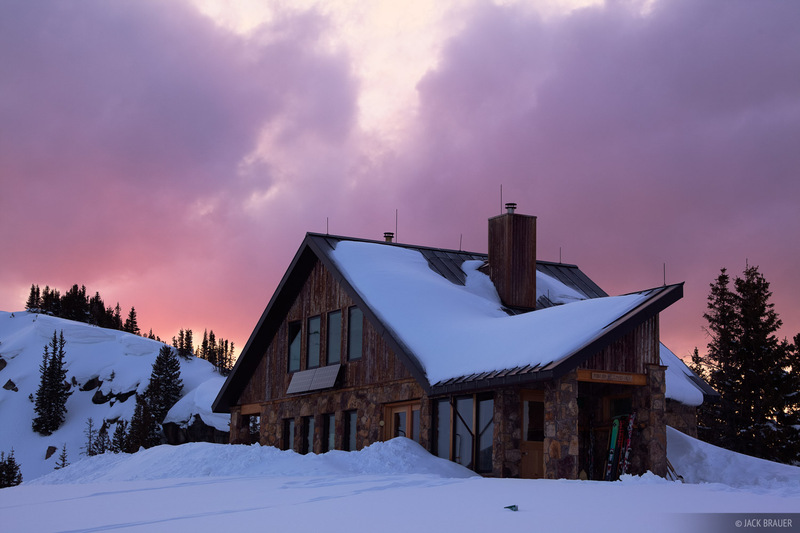 Sunset over the Fowler/Hilliard Hut. The huts have all the necessary amenities except bedding, so the only things we needed to bring with us were food, clothes, and sleeping bags. And my big camera which probably wasn’t necessary. Dusk over the Fowler/Hilliard Hut in the southern Gore Range - March. The Fowler/Hilliard Hut is surrounded by heaps of skiing possibilities, and we were super lucky with the snow conditions. It dumped over a foot of powder right before we started our trip and stayed fairly cold during our stay – very fortunate for late March! Claudia and I were having a blast lapping some north facing trees all day… Claudia’s first time skiing powder in the trees! On the summit of Resolution Mountain (11,905 ft.) with a view of the Gore Range in the distance. On our final day, we skinned to the top of Resolution Mountain then enjoyed a great 2500+ foot descent back to Camp Hale and our truck. Posted in Backpacking & Trekking, Colorado, Skiing & Snowboarding and tagged Colorado, Gore Range.